Managed by Frank T. Gardner, III and Gregory A. Reid, Salient Midstream & MLP Fund utilizes its assets to purchase Midstream Companies and MLPs. The total net assets are $329 million. The current shares price is $24.02. This closed end fund has a total leverage ratio of 26.57%. 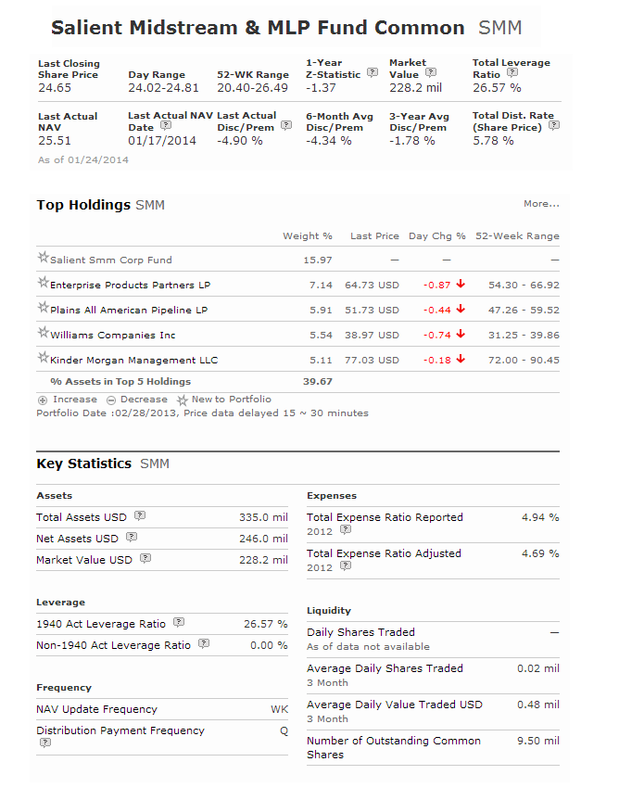 This best performing MLP closed end fund has a 1 year annualized return of 23.30%. The fund’s yield is 5.73%. The top 3 stocks are Enterprise Products Partners LP, Plains All American Pipeline LP, and Enbridge Energy Management LLC. Kayne Anderson MLP Fund objective is to high total return through investment in energy related MLPs and other industrial transport companies. It has a high dividend yield of 6.25%. This top performing MLP closed end fund is popular among investors with $5.2 billion of assets. The expense ratio fee is 0.0%. The 52 week price range is between $32.02 and $40.22. Morningstar has ranked this CEF fund with 5 stars and bronze rating. This MLP fund has returned 14.42% over the past 3 year and 27.99% over the past 5 year. The top 4 stocks are Enterprise Products Partners LP, MarkWest Energy Partners LP, Plains All American Pipeline LP, and Williams Partners LP. 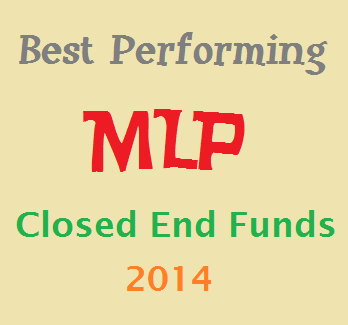 This best performing MLP closed end fund has 45 holdings. 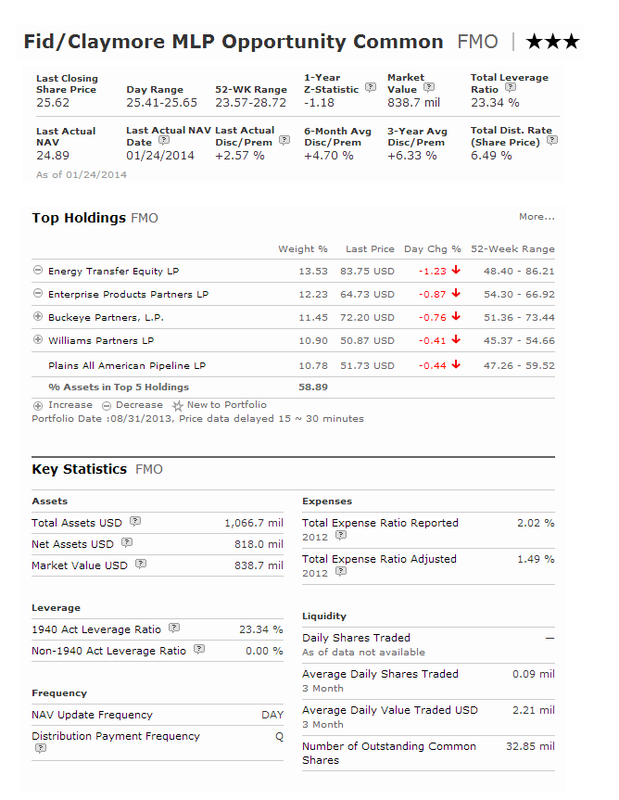 The top 3 stocks are Energy Transfer Equity LP, Enterprise Products Partners LP, and Buckeye Partners LP.